A new study has revealed insight into a primate that existed 11 to 14 million years ago and is a member of a primitive group distantly connected to humans, as well as monkeys and apes. 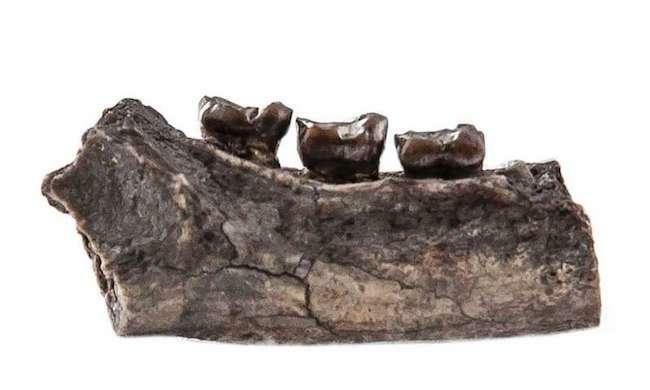 In Northern India’s Kashmir region, researchers found part of an ancient primate jawbone from a newly-discovered species, which has been dubbed Ramadapis sahnii. This primate was related to lemurs and it consumed leaves, and was likely about the size of a house cat that weighed less than 11 pounds. The jawbone fossil that was found measures about an inch-and-a-quarter in length and has flat teeth. "Among the primates, the most common ones in the Kashmir region are from a genus called Sivapithecus, which were ancestral forms of orangutans," said researcher Biran Patel, according to Phys.org. "The fossil we found is from a different group on the primate family tree — one that is poorly known in Asia. We are filling an ecological and biogeographical gap that wasn't really well documented. Every little step adds to the understanding of our human family tree because we're also primates,” he explained. Patel said an understanding of the biology of ancient primates will help us comprehend human origins, too. Researchers also learned that this species had cousins found in North America, Europe and Africa, but these relatives became extinct millions of years earlier. Future research is needed to explain how the ecosystem around Kashmir supported the species when its relatives were disappearing in other parts around the world. Source: Gilbert CC, Patel BA, Singh NP, Campisano CJ, Fleagle JG, Rust KL, Patnaik R. New sivaladapid primate from Lower Siwalik deposits surrounding Ramnagar (Jammu and Kashmir State), India. Journal of Human Evolution . 2017.